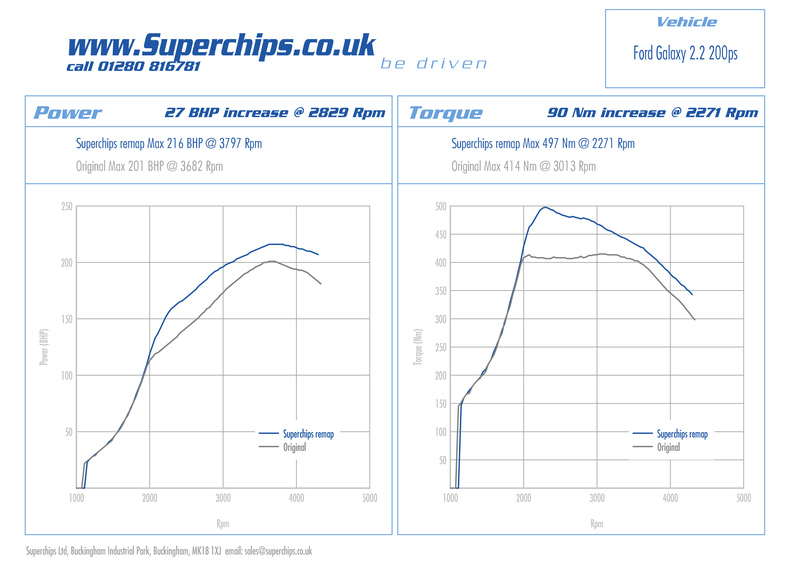 Superchips, the world leader in performance ECU remapping, is pleased to announce a range of important Bluefin ‘Plug-in and go’ releases designed to enhance the performance of the latest Ford 1.6-litre Ecoboost turbo petrol engine models, including the Focus, Galaxy, C-Max, Grand C-Max, Mondeo and S-Max. Superchips Ltd has a performance boosting, economy friendly proposition for owners of the latest Ford Galaxy, Mondeo & S-Max 2.2 TDCi 200PS (197 bhp) Duratorq cars in the form of a newly released ECU remap. Careful tweaking of the code in these models’ Bosch EDC17 ECU allows Superchips to extract an extra 27 bhp at just 2829 rpm. Torque increases by an impressive 90 Nm at 2271 rpm, highlighting the flexibility of the Superchips upgrade, which transforms the performance of any 2.2 TDCi 200 PS Duratorq Ford Galaxy, Mondeo or S-Max, making it feel more lively, more exciting and more responsive. But it won’t be less economical. Thanks to the efficiencies realised by the Superchips ECU remap, independent testing has shown that fuel consumption doesn’t increase and in many cases economy gains of up to 7% can be realised. Superchips Ltd is delighted to announce a high performance ECU remap that offers a more exciting, efficient driving experience for a clutch of best selling Ford cars using the latest version of the 163 PS 2.0 TDCi turbo diesel engine. This covers top selling popular models including the Galaxy, Kuga, Mondeo and the Focus S-Max. The latest version of the Ford 1995cc, 16-valve TDCi engine was intensively analysed by Superchips technicians who identified significant performance enhancement possibilities within the models’ Delphi DCM3.5 ECU, which is easily accessed to allow a swift and painless installation. Post upgrade, the Superchips ECU remap for the Ford 2.0 TDCi engined models increases power by up to 22 bhp at 3301 rpm, endowing the Galaxy, Kuga, Mondeo and Focus S-Max with a sharper, more stimulating drive. The ECU remap also transforms the 2.0 TDCi engine’s torque output, increasing the figure by an impressive 89 Nm (65 lb.ft,) with gains throughout the rev range, highlighting the emphasis Superchips places on everyday driveability. Given the recent hikes in fuel prices, drivers can be assured that due to Superchips optimisation of the Ford 2.0 TDCi’s ECU settings, extra efficiencies are realised and in most instances fuel consumption improves due to the extra low rev torque available to the driver. Installation of the Superchips ECU remap for the 2.0 TDCi versions of the Galaxy, Kuga, Mondeo and Focus S-Max models entails customers visiting one of approximately 80 Superchips performance centres, where trained technicians can undertake the remapping procedure. 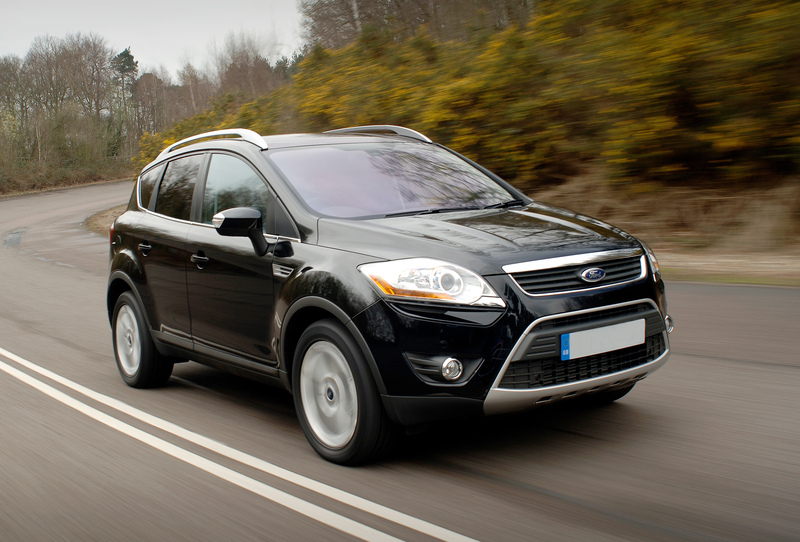 Suitable for 2.0 TDCi models of the Galaxy, Kuga, Mondeo and Focus S-Max produced from March 2010 onwards, the Superchips ECU remap is available now directly from Superchips and its UK dealer network, priced at £399.00, including VAT @ 20%. Superchips – don’t compromise, optimise.